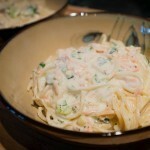 We’ve been in a bit of a food rut lately. 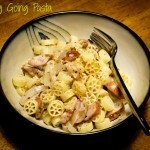 It’s been cold and grey and we’ve been eating the same things over and over. 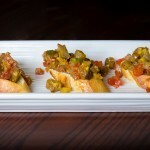 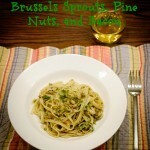 We decided that it was time to figure out a new dish that would make all of us happy. 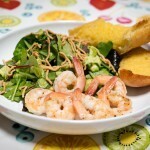 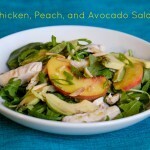 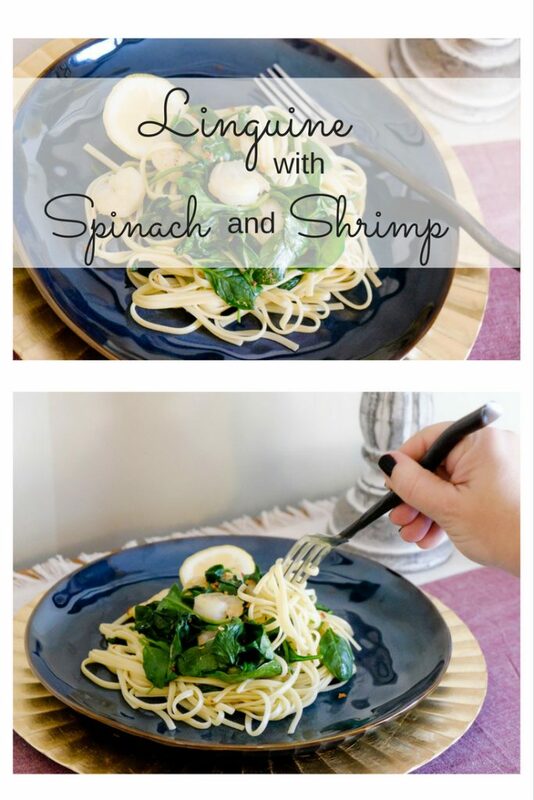 After a family poll, shrimp became the protein of choice and spinach is always a favorite green. 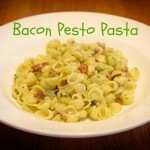 I’m such a huge pasta fan that it made sense to combine everything into an easy noodle dish. 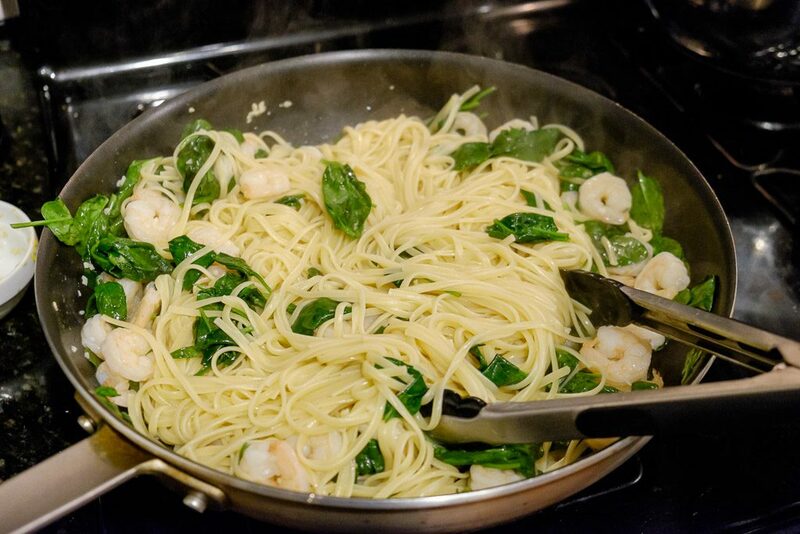 Thus, our Linguine with Spinach and Shrimp was born! 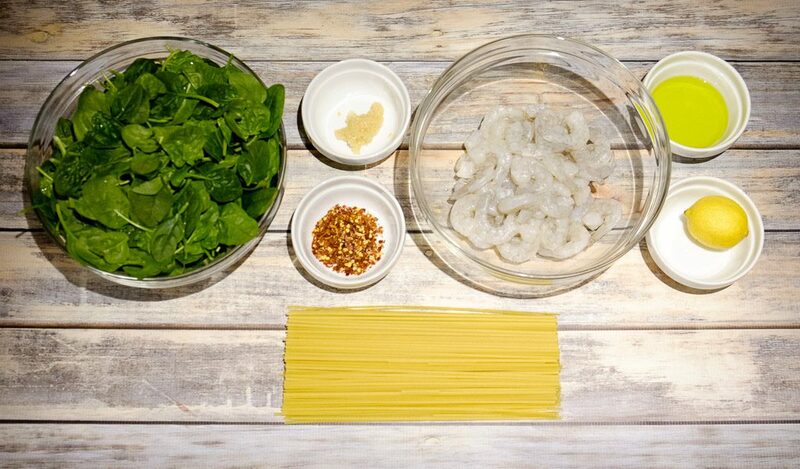 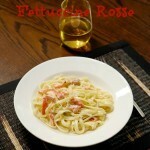 Cook the linguine in a pot with a pinch of salt in the pasta water. 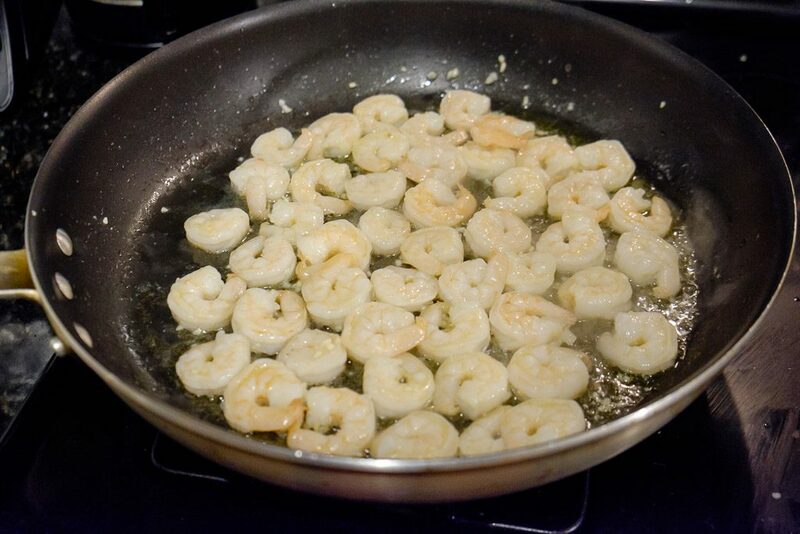 When the linguine is close to finished, put 2 tablespoons of oil and the garlic in your pan and cook the shrimp over medium-high heat, about two minutes on one side and one minute on the other, until opaque. 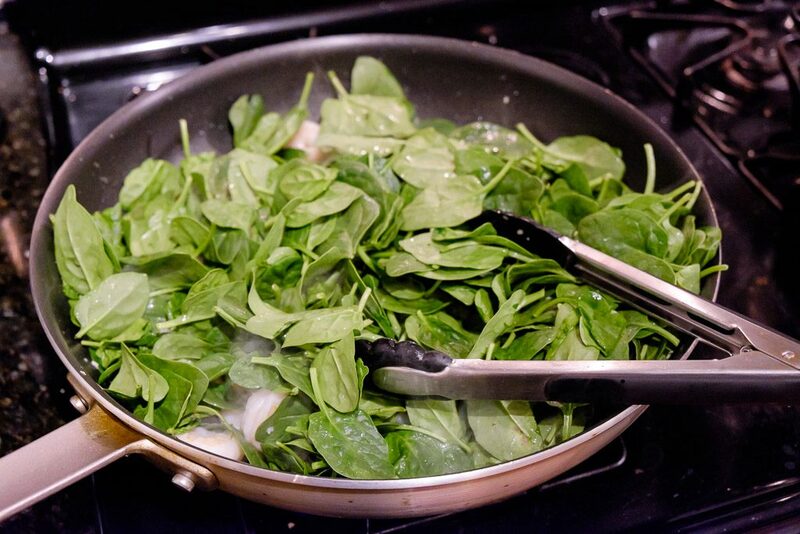 Add in the spinach to wilt. 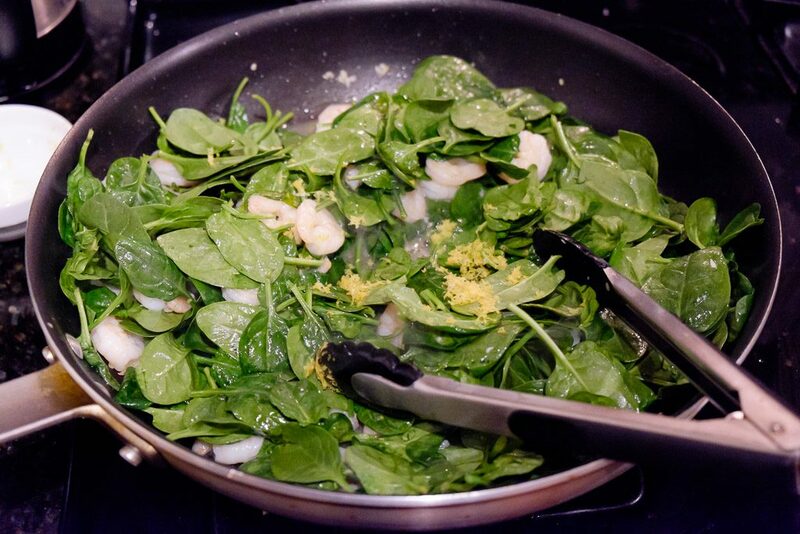 Add in the lemon zest as the spinach is wilting down. 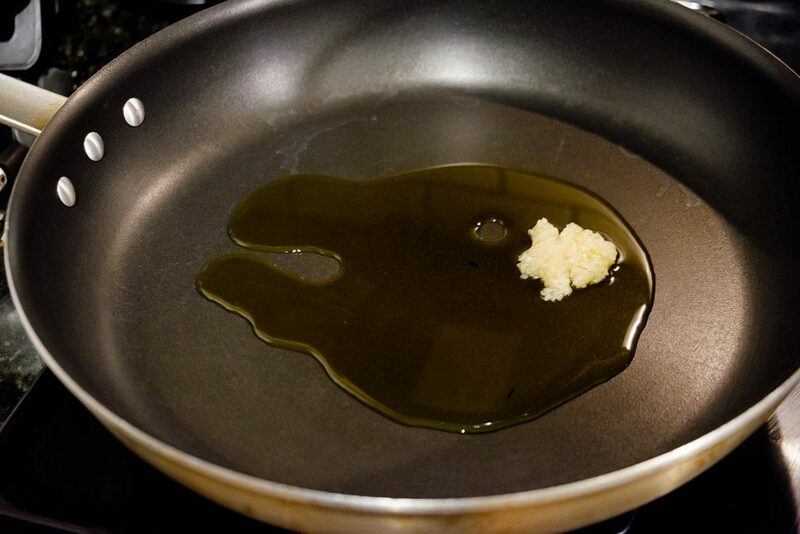 Toss in the linguine and add the last tablespoon of olive oil. 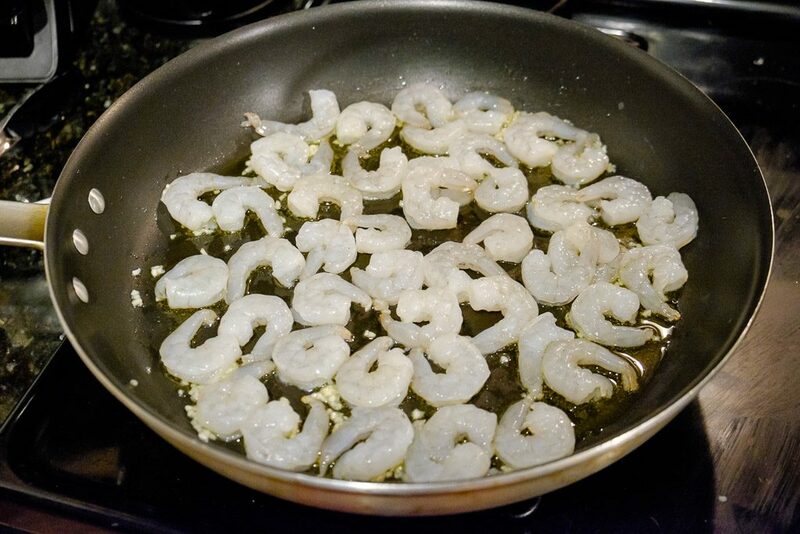 Add in red pepper flakes to taste and serve with a wedge of lemon. 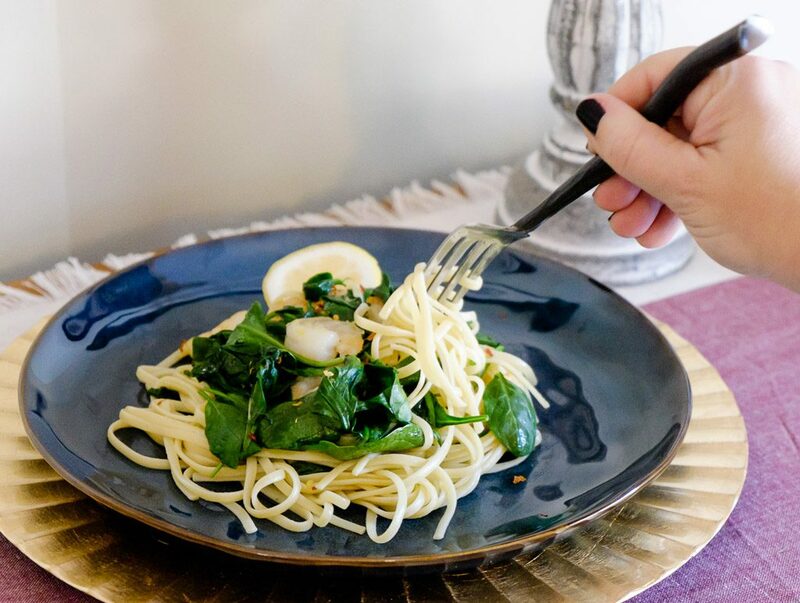 You can absolutely add in the red pepper flakes during the cooking process–we add them at the end because everyone in our family has a different preference. 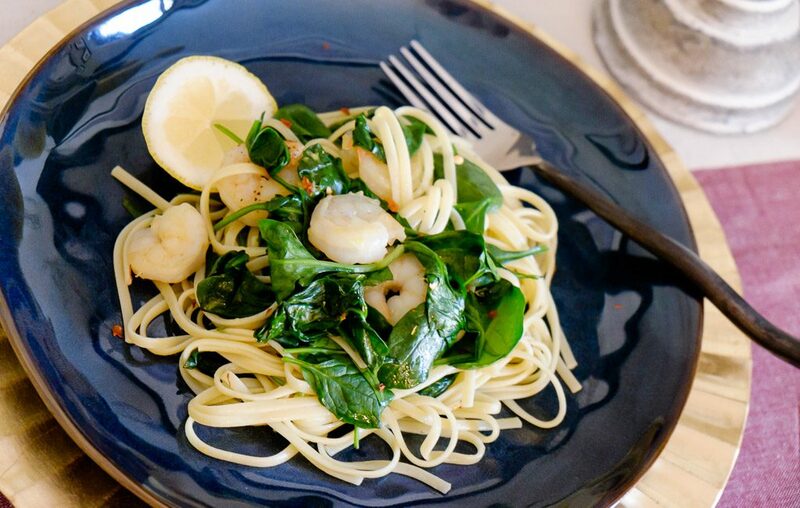 Linguine with Spinach and Shrimp has quickly become a favorite meal in our house. 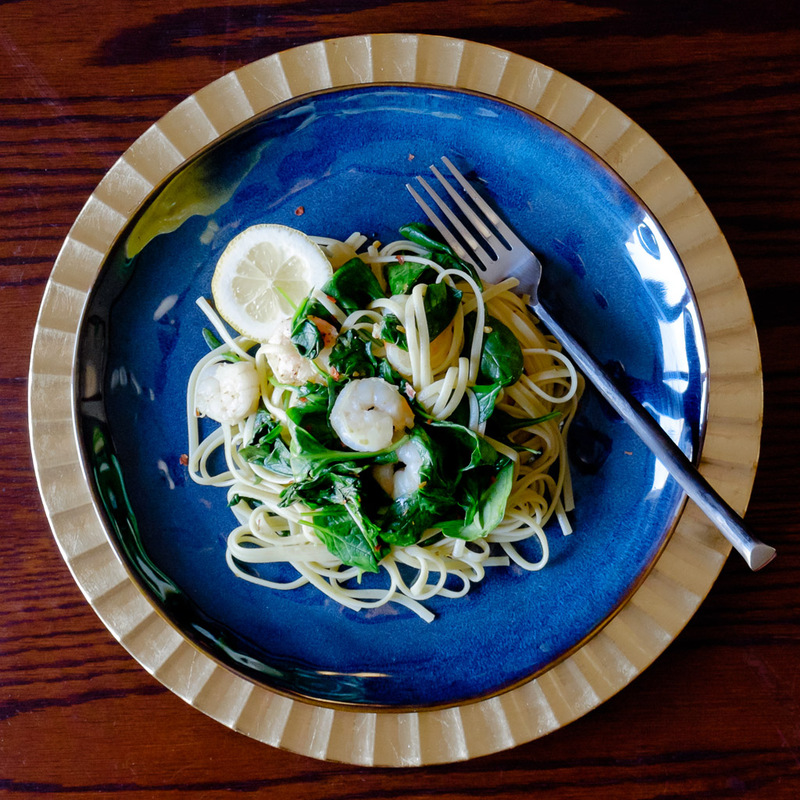 It’s so quick and easy to make that we don’t think twice about making it on a weeknight, but it feels fancy enough to have for special occasions.